Diaper bags have sure come a long way. Gone are the days of super bulky bags that make it difficult to find your items or the heavy ones that can only be carried on one arm. 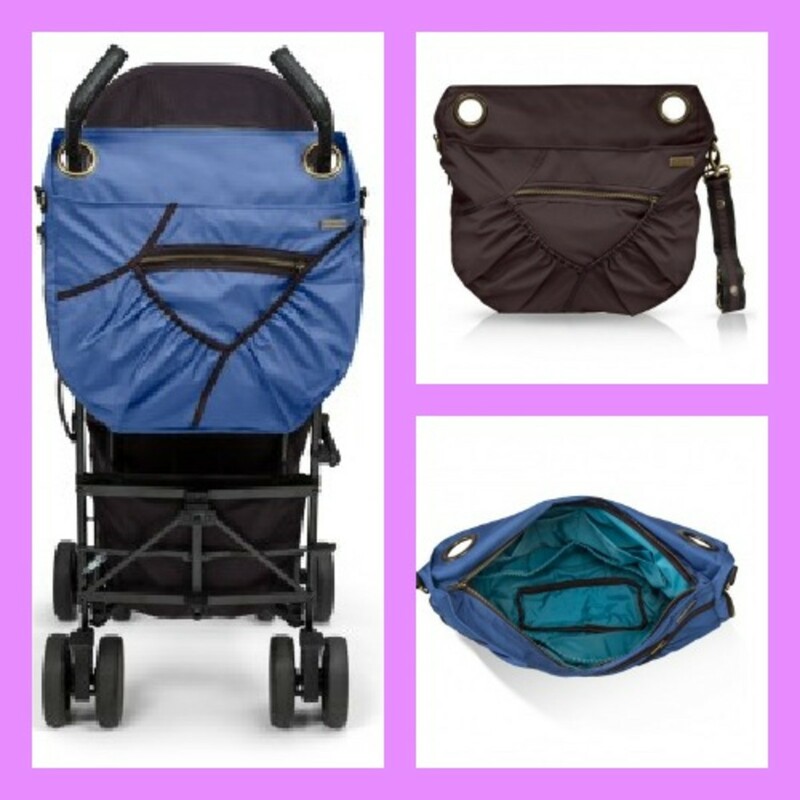 Today&apos;s, diaper bag offers the modern mom so much more functionality and like the new Georgi Stroller Bag by Baby Cargo offers parents a bag that can have multi-uses and have even fit on a stroller! Makers of the functional umbrella stroller (see our complete review here), I have been really enjoying using their new diaper bag that serves as a way to easily cart your essentials for your baby as well as serve as a chic shoulder bag. By far my favorite feature is its two circular brass holes that fit through the Baby Cargo stroller (they can also work for any two-handled strollers) where I literally don&apos;t have to hold or feel my bag. I really loved the experience of having hands-free strolling since I often have my older daughter by my side and an unavoidable grocery bag (or two) that makes it way under my stroller. I also have love the fact that I could have options with the bag where I could wear it over my body, which I absoulutely love since I don&apos;t have to have a bag dangling over one shoulder but over my entire body for an even distrubtion of weight. 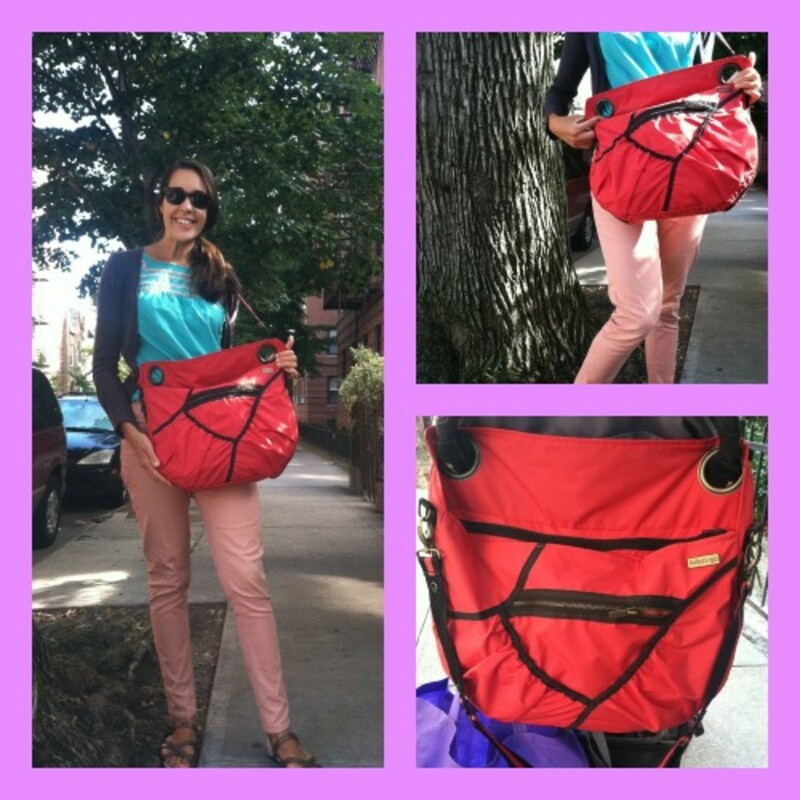 I tested out the vibrant red, which is called Chile/Tangerine and the brand also offers fun colors like Ash/Violet, Moonless Night and Ocean/Wave that also includes several features that made it effortless to carry around the various items that are needed for a baby. The bag includes various pockets for bottles and cups as well as pockets inside of the bag that I use to store keys, phones and food. I also loved the lightweight material as well as the stylish zippered seams and attention to details with the circular brass knobs that fit right through two stroller handles. Beyond the everyday use for your stroller, the bag can also be worn when you are not touting around diapers, bottles and wipes. Since the material is so light and the colors are so stylish, I often use the bag when I am not with the kids - and there is no diaper or stroller bag that I would ever say this about! Check more of the features below of the new Geogi bag.